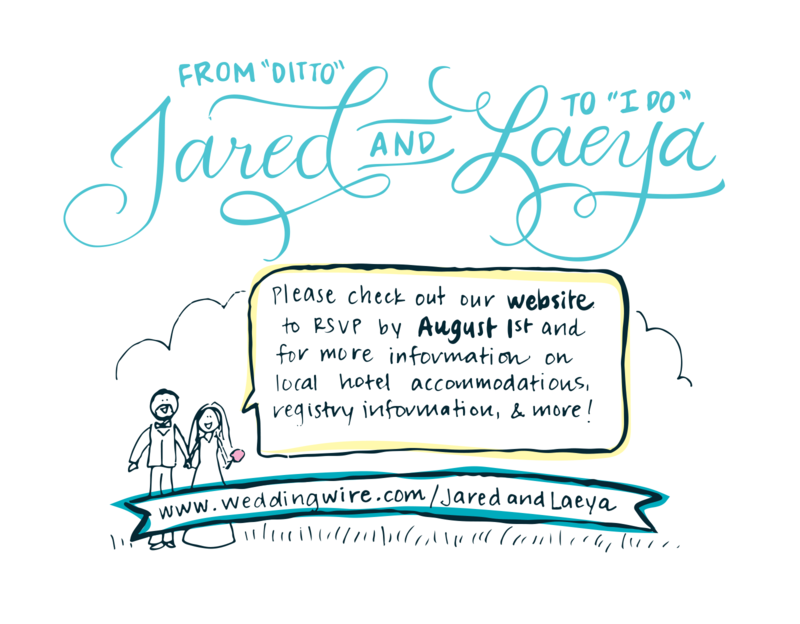 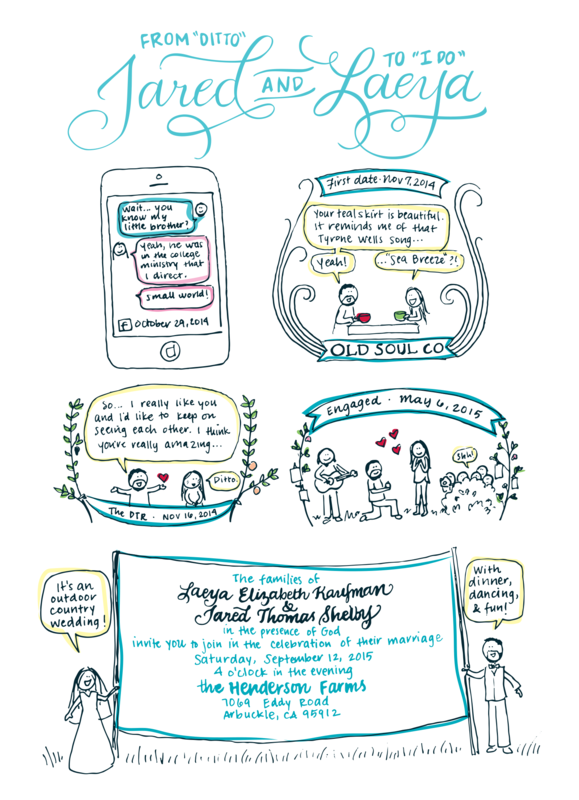 For a dear friend's wedding, I drew comics and came up with a calligraphic "wedding logo" for the invitation, RSVP cards, and related materials. 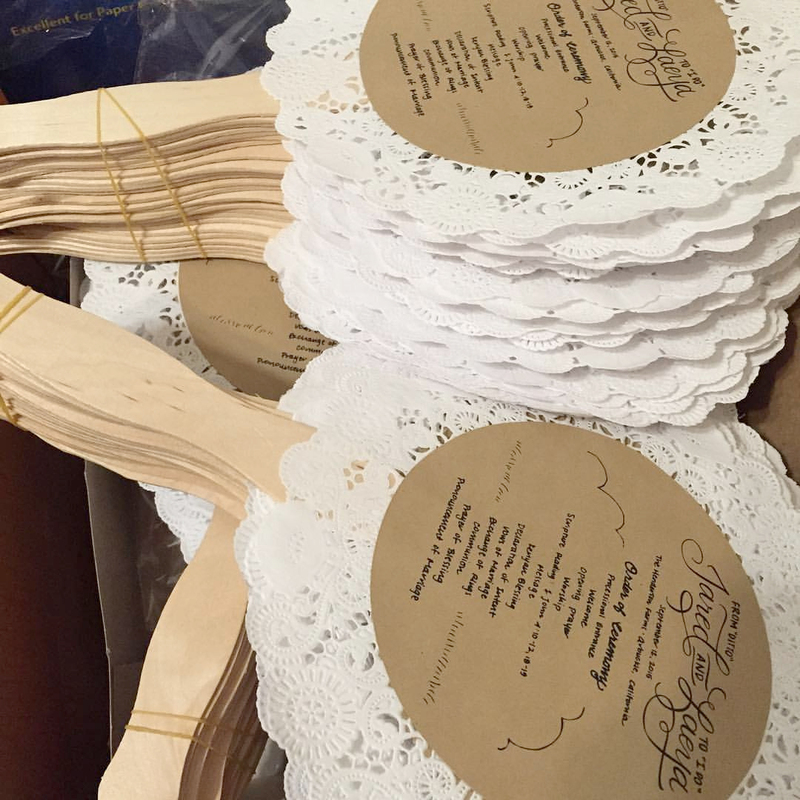 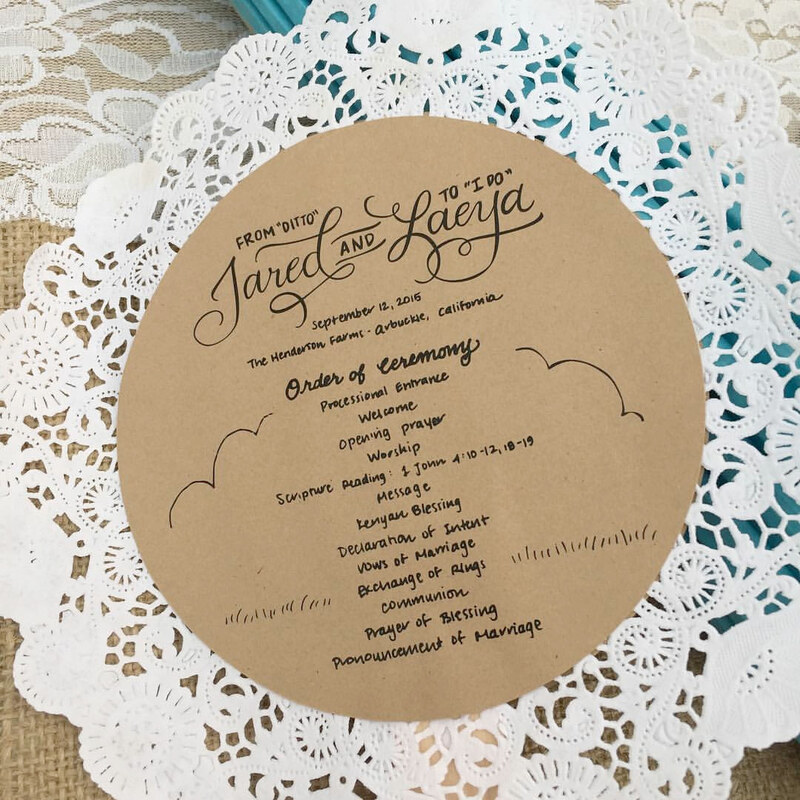 In a labor of love, I also hand-crafted the wedding programs, which doubled as fans for the outdoor wedding. 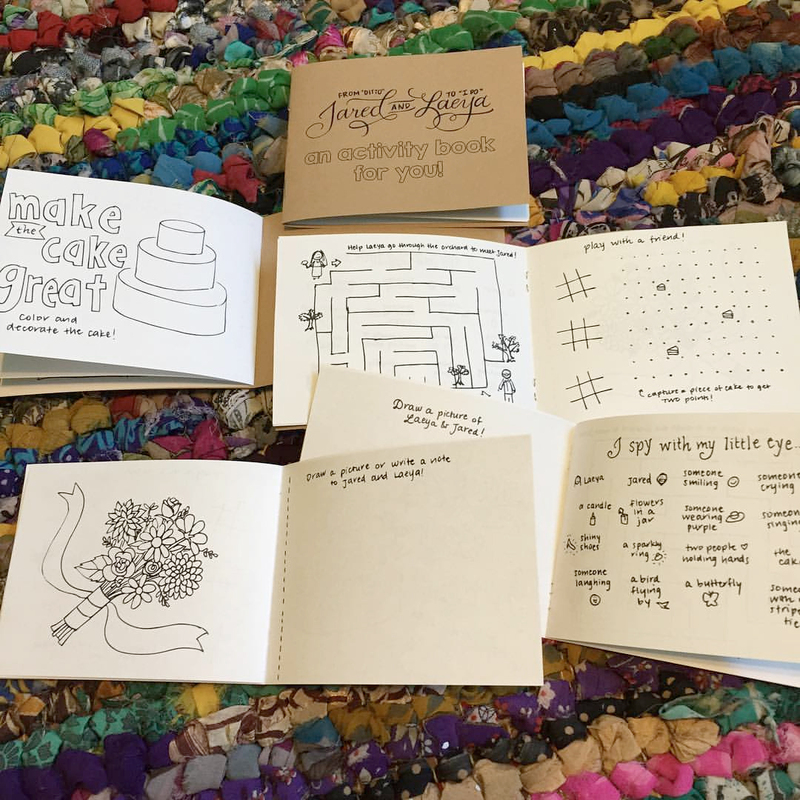 Along with various other signage for the special day, I also created a kids' activity book for the little ones who attended the wedding.